The period of the late 1970s and early 1980s At the height of the rivalry between Tabu Ley and Franco. 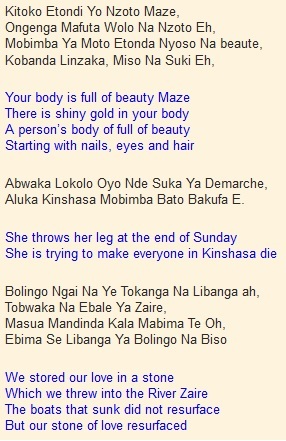 In 1980, Tabu released this blockbuster of a song called “Maze” about a woman who was a love interest. The release of the song co-incided with Tabu Ley’s first ever tour of Kenya during which he wowed enthusiastic crowds with his innovative stage show and up-tempo beats. 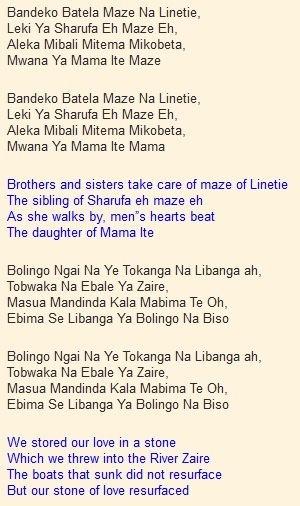 The song Maze became such a hit in Kenya that the word “Maze” was incorporated into the local sheng language of Nairobi. 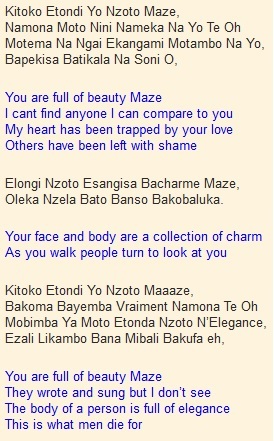 And now over 3 decades later, the word “Maze” is still used in Nairobi as a way to express exclamation. 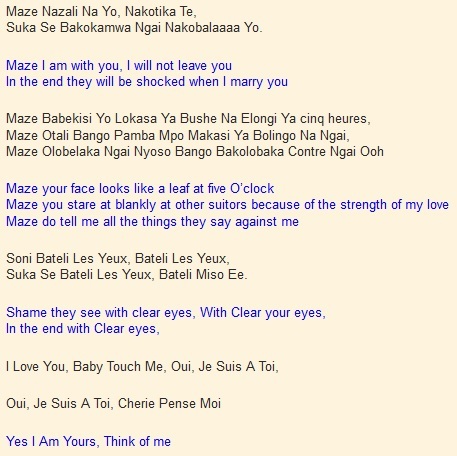 This entry was posted in Songs, Tabu Ley& Afrisa Songs and tagged Afrisa International, Tabu Ley maze, Tabu Ley songs. Bookmark the permalink. Ths song s of ts kind,t really thrills me day ad 9t. Leys’ song eva sooth my soul,i embrace him now n again by playing all of his music repeatedly! long live TABU LEY!